Everyone wants to live in a safe and worry-free environment; the need to stay on the safe side is amplified in situations where people have families, a spouse, and children. And while no one is thinking about safety on daily basis, potential misfortunes and accidents are lurking around constantly and can potentially take lives and destroy property. Death from fire in residential areas mostly occurs because of inhalation of toxic gas, rather than contact with the flames. The good news is that, if you have enough knowledge on the matter, you can prevent this from happening to you or your family. 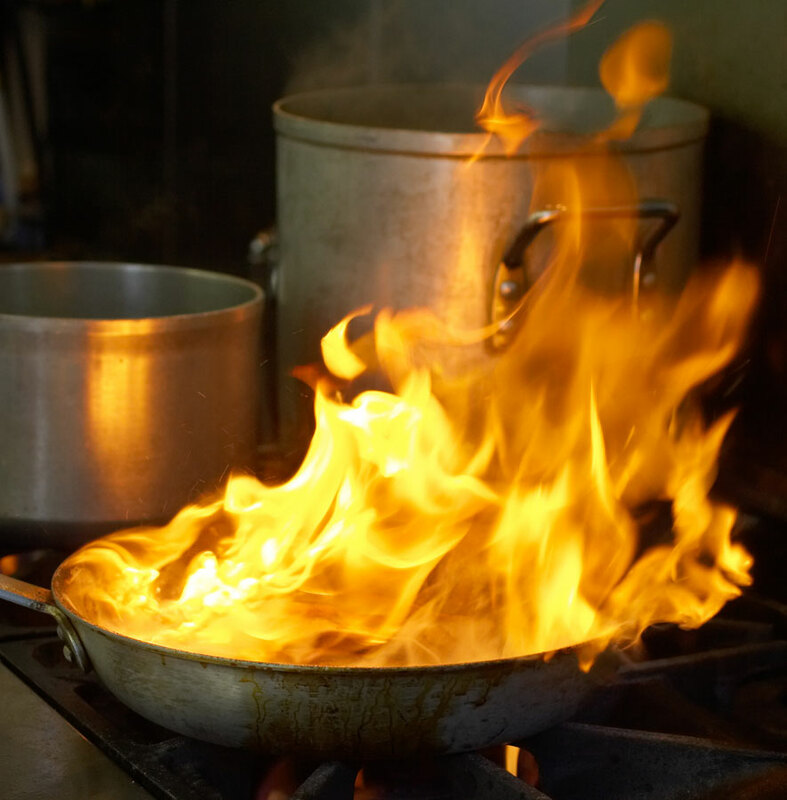 This guide will help you focus attention on the dangers of fire and help you find ways to fight it. Be advised against plugging too many appliances into one electrical outlet. Move combustibles away from stoves, heaters, and fireplaces. 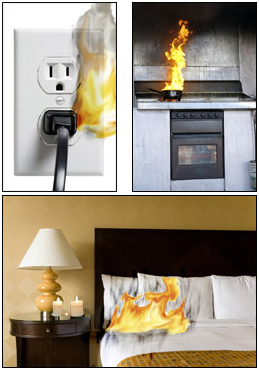 Never leaving a burning cigarette in an ashtray and/or smoke in bed or overstuffed furniture. Throw away all damaged and/or frayed electrical/extension cords; otherwise, you might be tempted to use them. Don’t let children play with matches and lighters, and keep them away. Never use extension cords with air conditioning or heating equipment. Purchase smoke alarms and fire extinguishers for your home, preferably each floor. Regardless of you living in a house or flat, develop an emergency exit plan and practice it often (at least two times a year) with your family. Aside from the main plan, you should have an alternate one, just in case. Your most obvious and first choice (the door) may be blocked by fire which is why you should have a smart plan on other exits. Make sure that screens or storm windows are easily removed. Have an escape ladder for each occupied bedroom of your home, especially if you live in a multiple-story home. Purchase escape ladders and keep them stored under a bed or in a closet. It is very important to establish a meeting place outside your home where everyone will meet after you’ve escaped. Also, in the event of fire, don’t stop to gather valuables, search for the family pet or get dressed. NOTE: Once you're out, never re-enter under any circumstances! As soon as you’ve reached the meeting place, call 911 from your cell or neighbor's house. Rely on fire safety services for help, too. Sometimes, fire can just seep in without you noticing it until heavy smoke starts spreading and the fire’s caught most of the space. 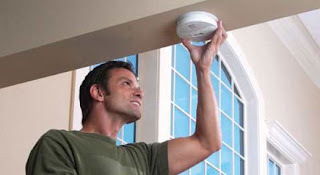 This is why purchasing and installing smoke alarms is a must for every home, i.e. for every floor of your home. All members of your home should know how to use the alarms as well as the extinguishers. 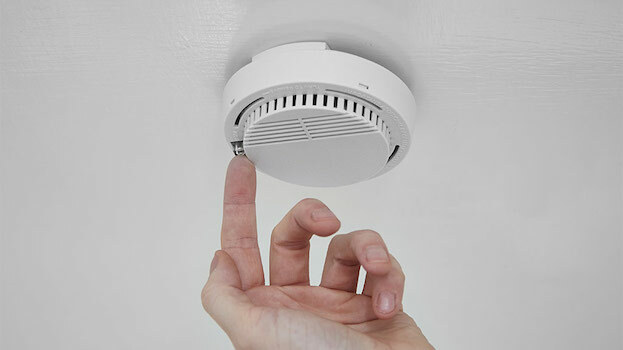 Smoke alarms should be placed near bedrooms; a preferred place to place them is either on the ceiling or on the wall, six to twelve inches below the ceiling. It’s important to locate smoke alarms away from air vents and test them regularly to ensure that they still work. In case your alarms run on batteries, change the battery every six months when you change your clocks. Don’t forget to install a smoke alarm in your garage, too. Often, local codes may require additional alarms so make sure you double-check with your fire department or building code official. Every home should be equipped with fire extinguisher in order to guard against small fires or to keep a small fire from developing into a big one. If a fire extinguisher is handy and used properly, fires may be contained effectively. Install fire extinguishers on every level of the home, including the basement and garage. Store a fire extinguisher close to your automatic gate openers as they’ll be visible and easily accessed there. Fires are traumatizing and frightening, which is why it’s essential you follow through with a serious plan and an attitude that may potentially save your life.